Kaylee Davis-Maddy is a reputable trial lawyer in the commercial, healthcare, environmental and water law sectors. Although primarily a litigator, Kaylee’s practice is full service—assisting her clients and their needs that span the employment, commercial, real property, regulatory and administrative fields. Her healthcare practice includes advising physicians and other licensed providers regarding corporate, administrative and litigation issues, while her environmental practice focuses on interacting with state and federal agencies to provide her clients with the outcomes they desire. Most recently, Kaylee has obtained favorable results for clients in state and federal licensure and certification actions, including with the Department of Environmental Quality and Oklahoma State Board of Medical Licensure and Supervision. 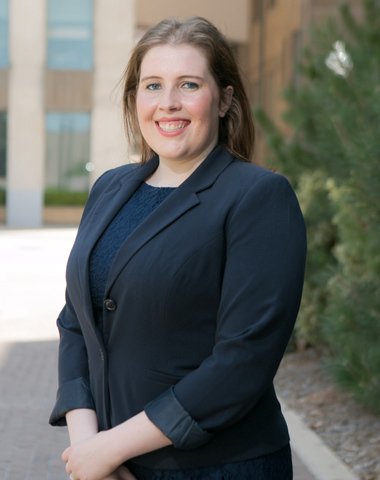 Kaylee is an accomplished water attorney, regularly assisting clients in asserting, obtaining and protecting their water rights in court or at state agencies. Her clients include small and large municipalities, corporations, landowners and family farmers. Kaylee is fluent in Spanish and proficient in American Sign Language. Outside the office, Kaylee dedicates her time to varying community groups, including being on the Board for the OKC Midtown Rotary Club. Presenter at the Oklahoma Bar Legislative Debrief on environmental bills that passed for 2018. Key presenter at PESI Oklahoma Mental Health & Law 2017. Key presenter at PESI Oklahoma Mental Health & Law 2016. Oklahoma Bar Association, treasurer of Environmental Law. Oklahoma County Bar Association member. Ruth Bader Ginsburg American Inn of Court, Associate. OKC Midtown Rotary Club, board member (treasurer) 2017 to present. OKC Midtown Rotary Foundation, board member (treasurer) 2017 to present. University of Oklahoma's Women and Gender Studies program, board advisor. Health Law Section, and Environmental, Energy and Resources section member. Health Law Section Physician Issues Interest Group practice social committee member and joint HLBytes author.